There are many different types of assessments that are used in Upper Elementary—some on a regular basis and some in more isolated instances—but they all serve this same purpose. As we tell our students: "Assessments show me what you know so that I know what I need to teach you next." Kingsley students understand this, and internalize this idea when faced with different forms of assessment. We use a combination of formal and informal assessments in Upper Elementary. For example, during literature circles, teachers informally assess through the use of discussion. A student’s answer to a specifically designed question such as, “How has this character changed throughout these first 5 chapters?” gives the teacher information about the student's ability to think critically at a high level. Based on this information, the teacher is able to make a determination about what lesson needs to come next. One of the ways we assess student writing in Upper Elementary is through the use of rubrics. These rubrics are provided to the student at the onset of a major writing assignment and set expectations for the elements, craft, plot, and mechanics of a particular writing piece. Relevant lessons are taught throughout the duration of these ongoing writing assignments, and are assessed through the use of these rubrics. This process gives teachers information about how well a student is able to apply what is learned during class, in their own writing. Many types of assessments are used in math. Once a week students complete a Math Minute to assess progress on fact fluency. These assessments become progressively more challenging as predetermined levels of mastery are achieved. Students have math workbooks and complete classwork assignments that give teachers daily feedback about student progress, and inform instructions for the next class. Students benefit from the use of assessments as a way to get feedback from teachers about their own learning. We also use summative chapter pre- and post-assessments. Ideally, the assessment process is iterative. Information is gathered from a pre-assessment to inform instruction, a post-assessment measures progress towards learning objectives from a unit, and then reteaching occurs if necessary. Students have an opportunity to learn from mistakes made on assessments and correct them, reinforcing the idea that assessments are opportunities for learning. Once a year, students in Grades 3-6 take a formal standardized assessment, known as the ERB. This test, and the results derived from it, serve as another piece of data for us to consider about an individual child. This test also gives us valuable information on a standardized scale which allows us to observe trends; develop relevant and effective programming; and identify areas of strength and areas for growth in our community. As we are constantly striving to improve upon what we’re doing, this assessment serves a valuable purpose to our school. It also helps us ensure that our students are achieving at a level that is competitive with other independent schools. Historically and currently, Kingsley students do very well on the ERB. Across the board, individual student scores always increase from third to sixth grade. This is an indication that, although we do not teach to the test, our content and pedagogical approach prepare students to perform competitively well on standardized assessments. The use of the ERB also helps prepare our students to take the Independent School Entrance Exam (ISEE). 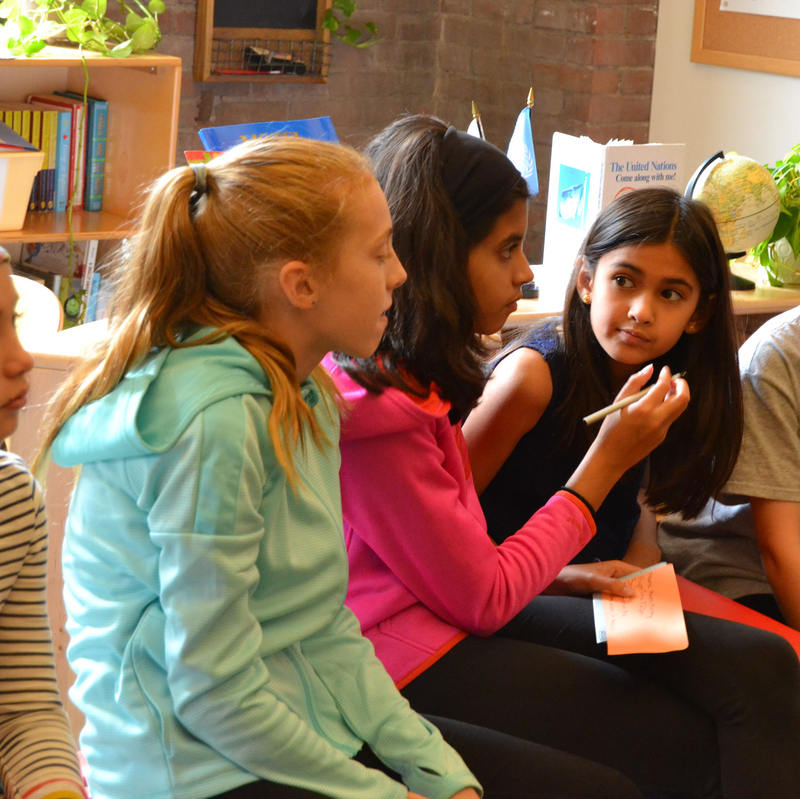 The ISEE test is taken in Sixth Grade by students interested in placement in our local independent schools or Boston Exam schools, as their next school. Just as content that appears on the exam is embedded into our regular curriculum throughout the years, test-taking strategies are also woven into regular classroom instruction. These strategies help teach students time management and critical thinking skills that will be useful to them during test-taking, and for the rest of their lives. Kingsley Sixth Graders consistently perform very well on the ISEE. They also go on to be highly successful in their next schools. Our comprehensive approach to teaching and assessments—including the use of a variety of assessments, the cultivation of critical thinking skills, as well as the agency each child feels for his/her own learning—translates to a child who is prepared, and capable of achieving success on assessments and in schools beyond Kingsley. Our primary goal in Upper Elementary is to serve as the bridge between our students' Kingsley experience and their next school. Intentionality with our assessments is just one of the ways we are able to do this.